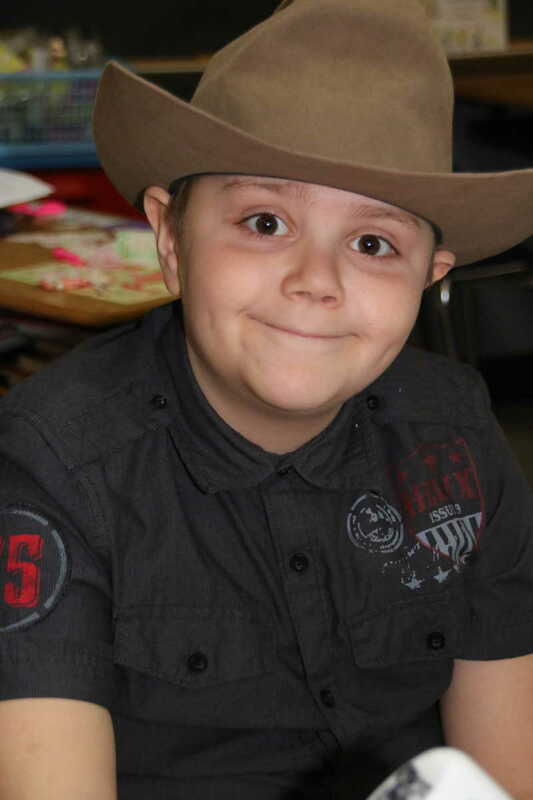 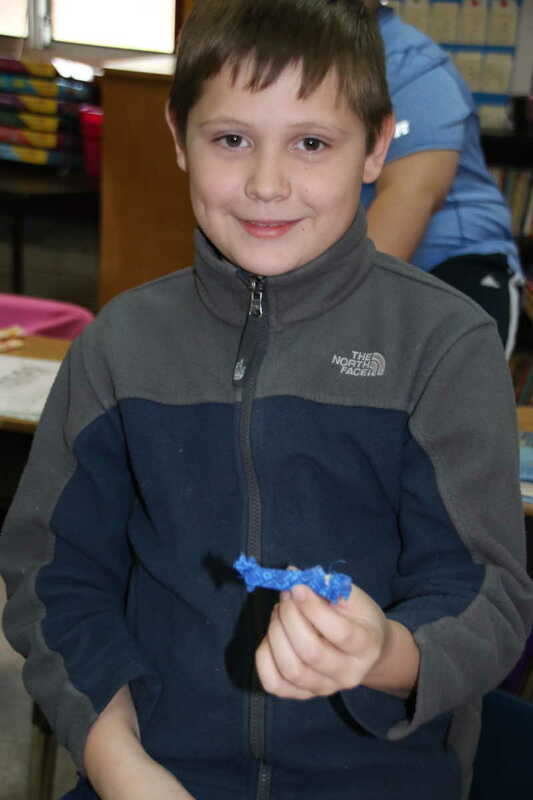 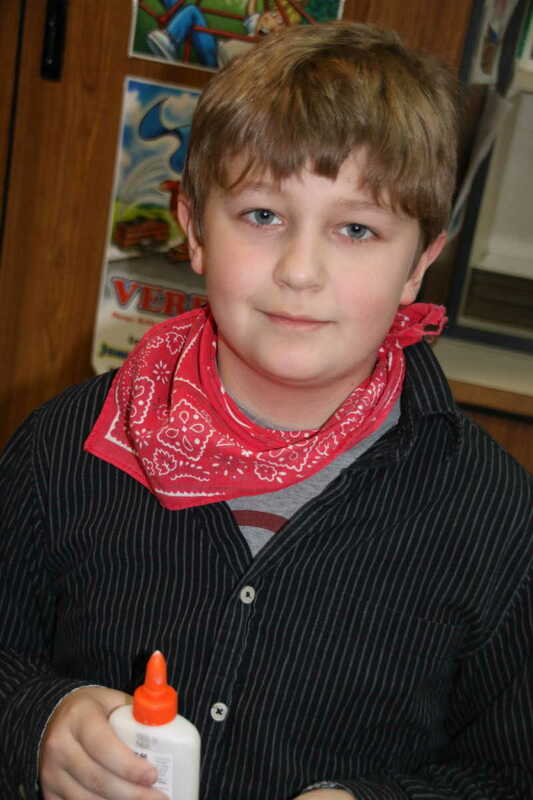 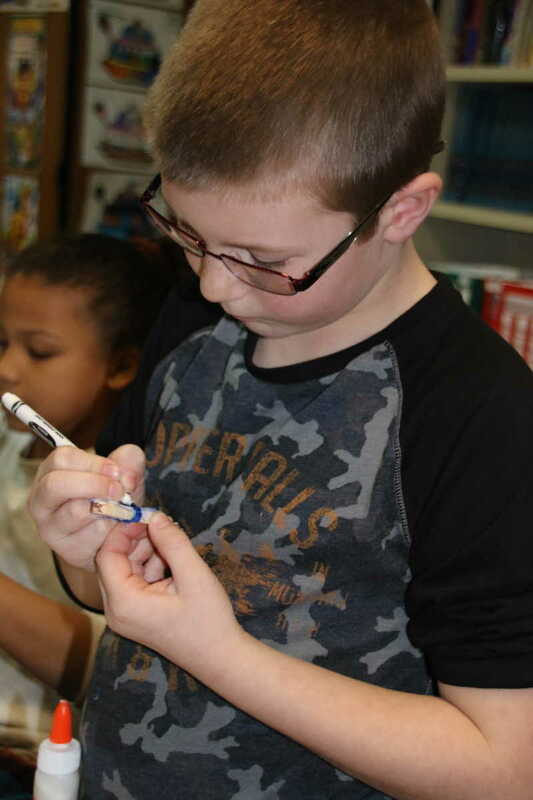 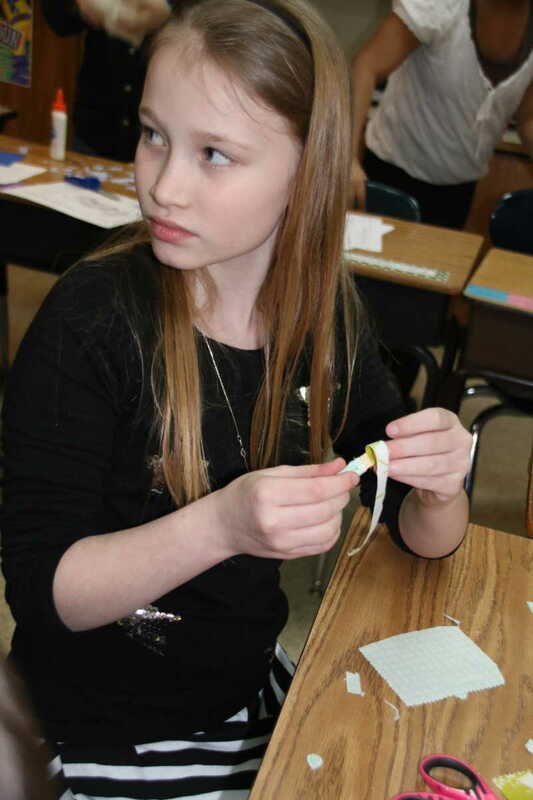 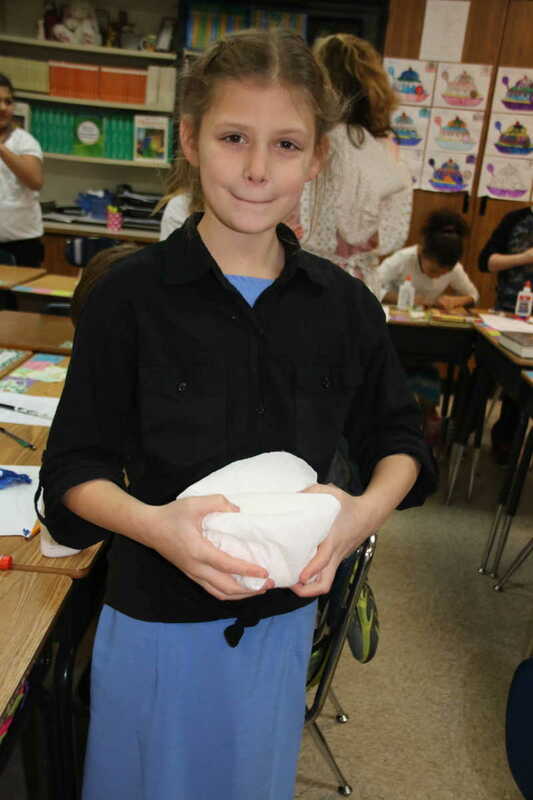 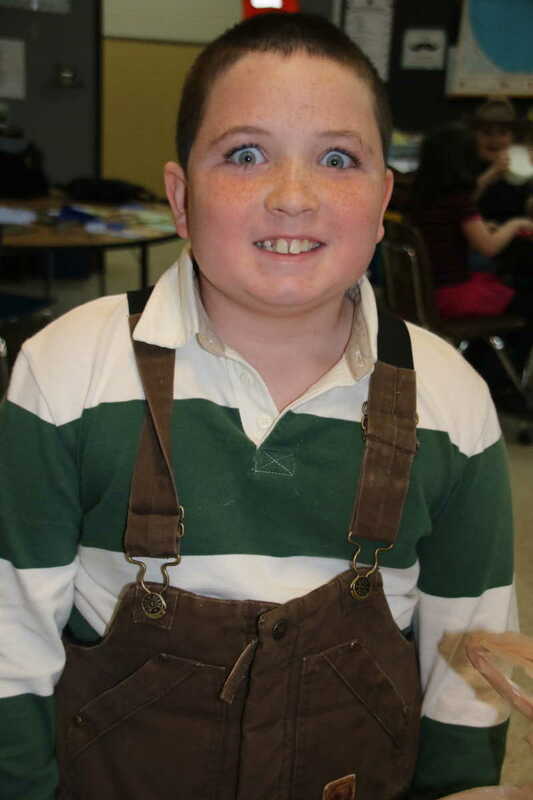 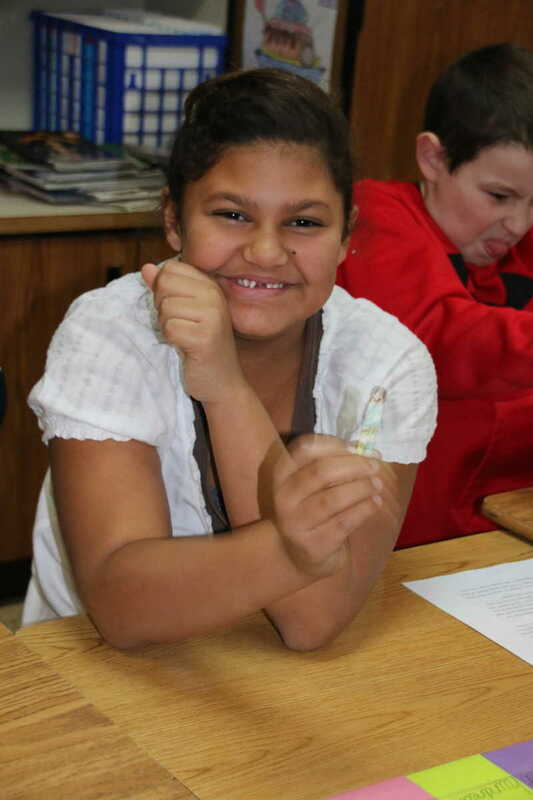 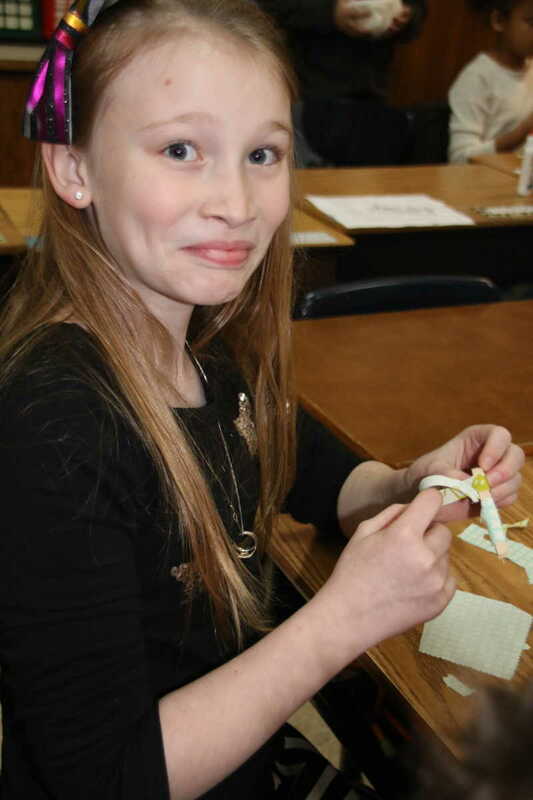 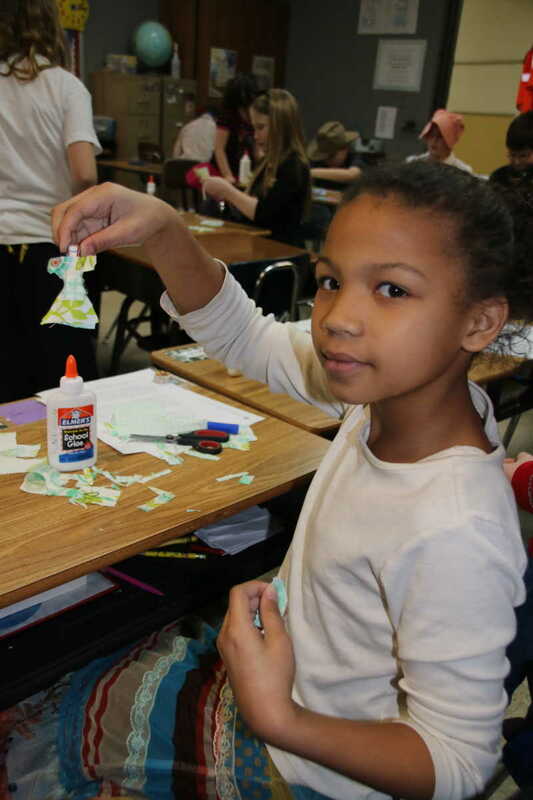 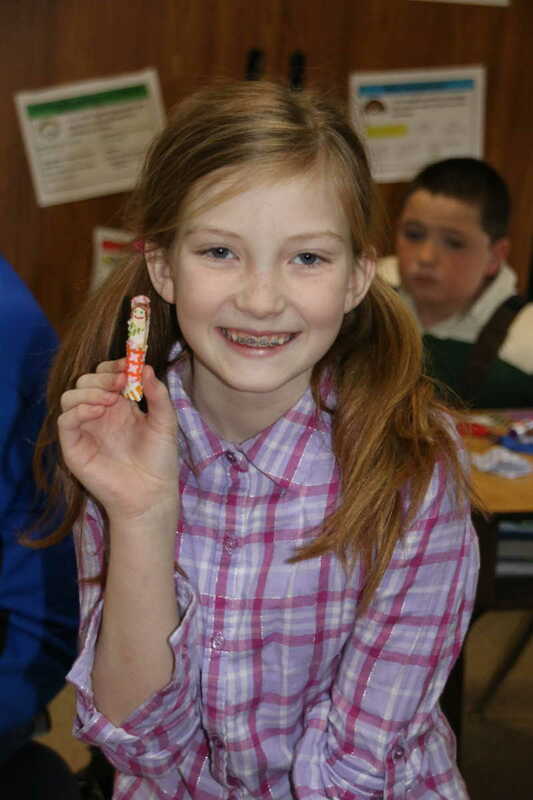 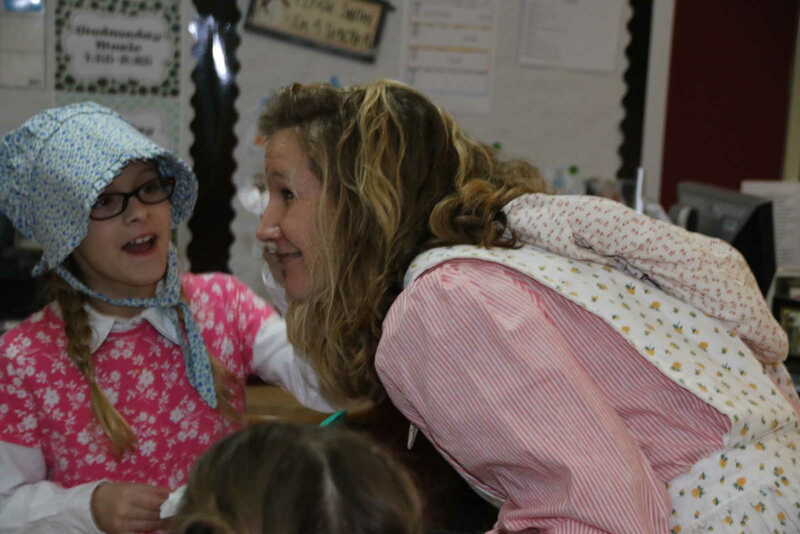 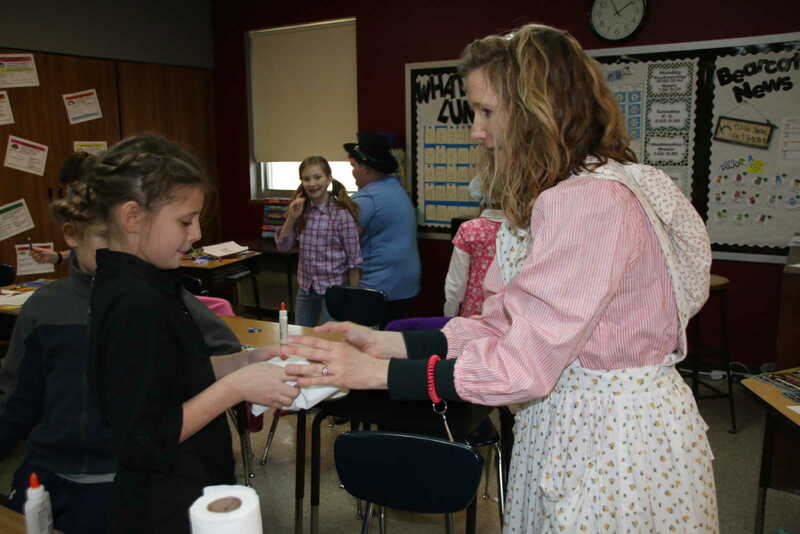 Fifth graders at Central Elementary began the second semester of the 2014-15 school year by studying westward expansion. 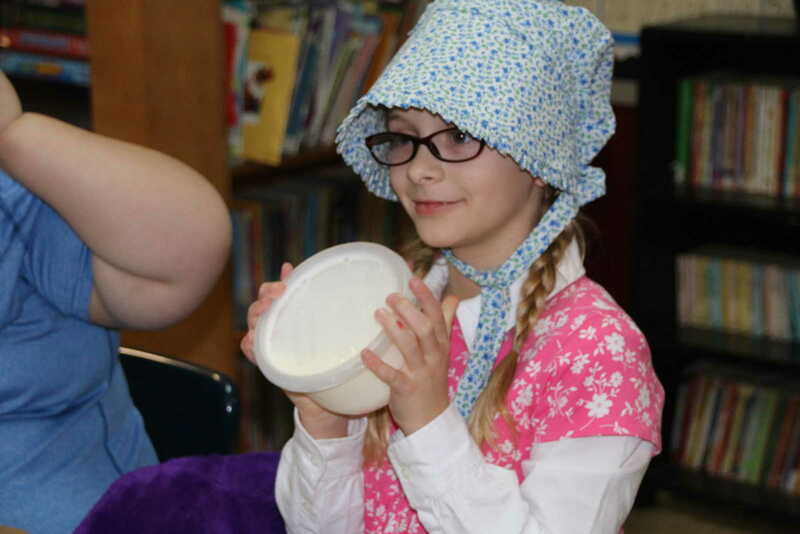 Included in their studies were lessons on the Lewis and Clark Expedition and the Louisiana Purchase. 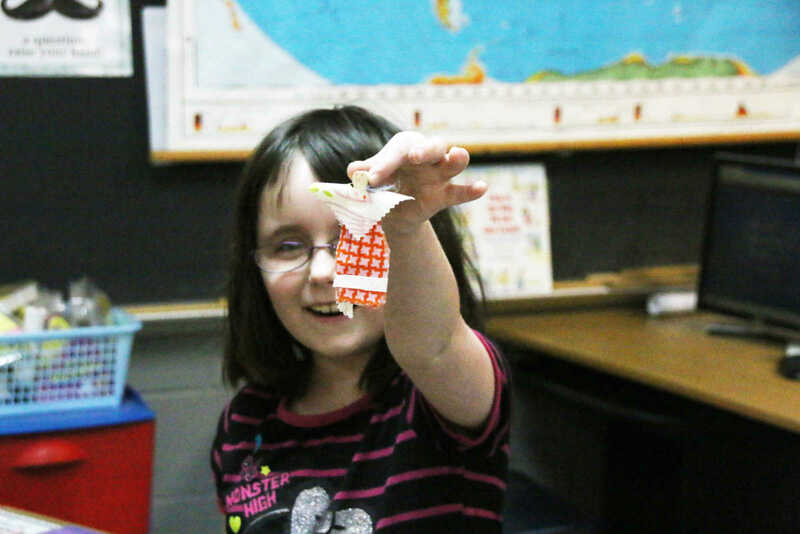 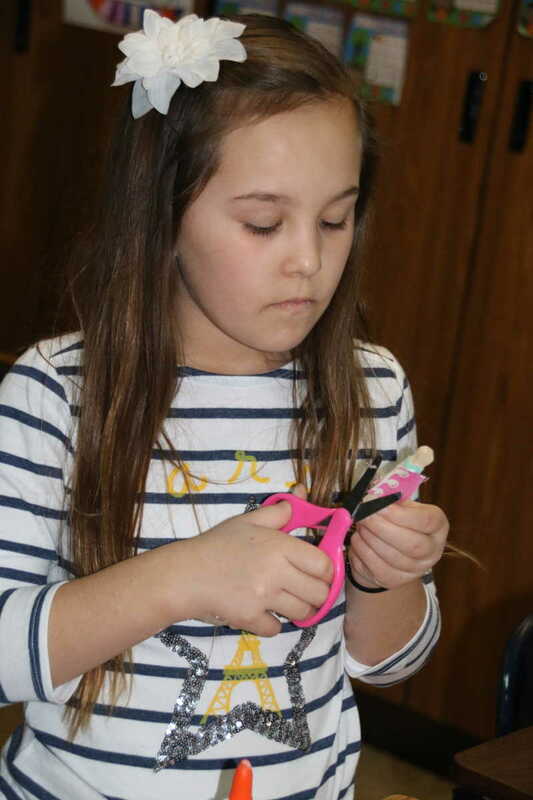 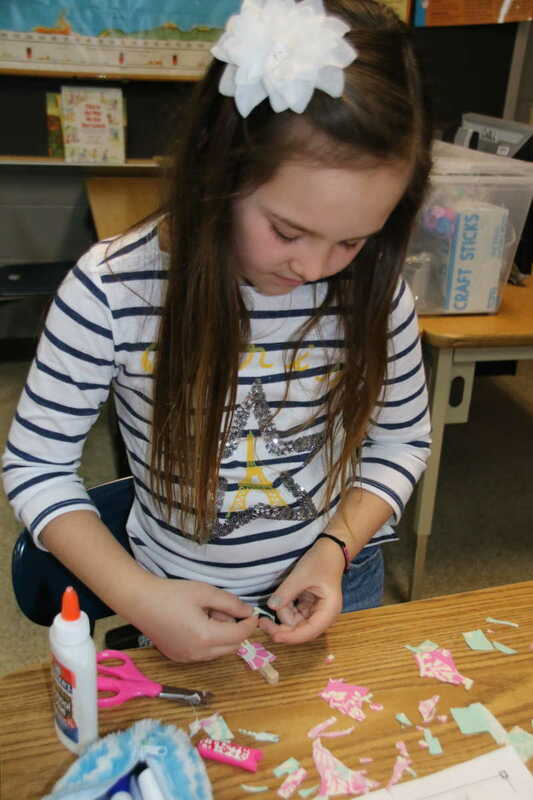 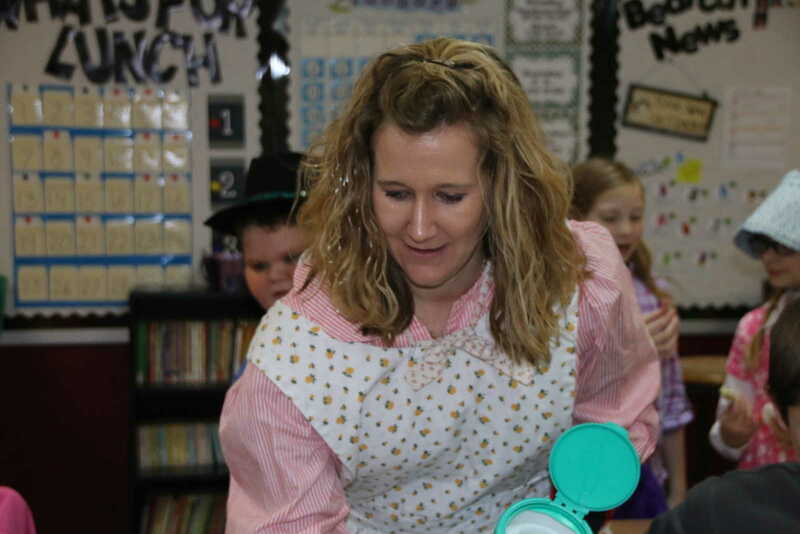 Along the route, students in Anna Whiteman's classroom learned how families provided toys for their children in the pioneer days by utilizing used machinery parts and items often discarded as waste. 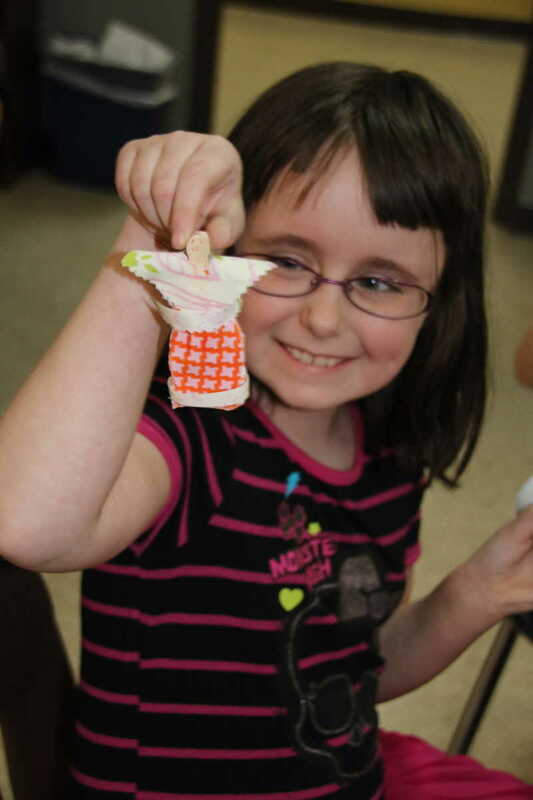 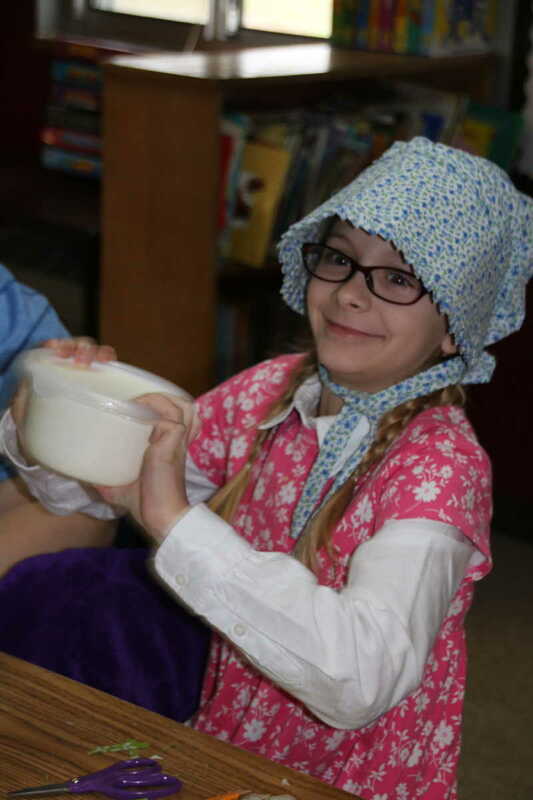 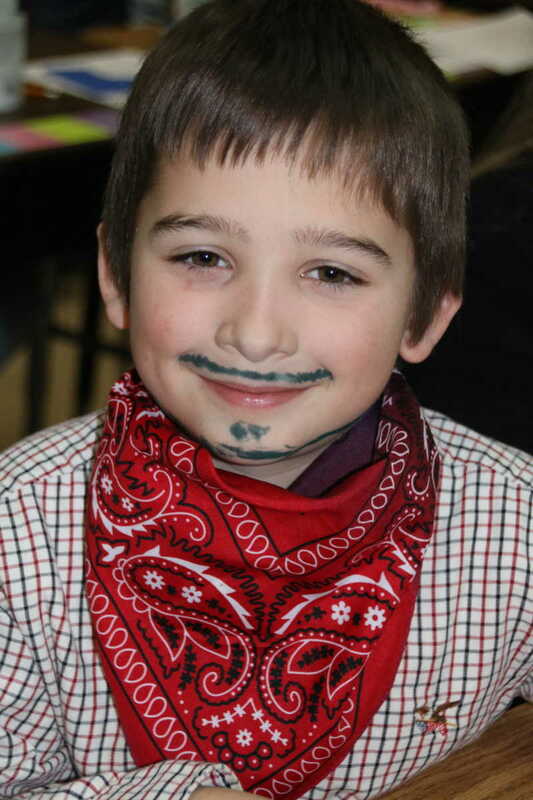 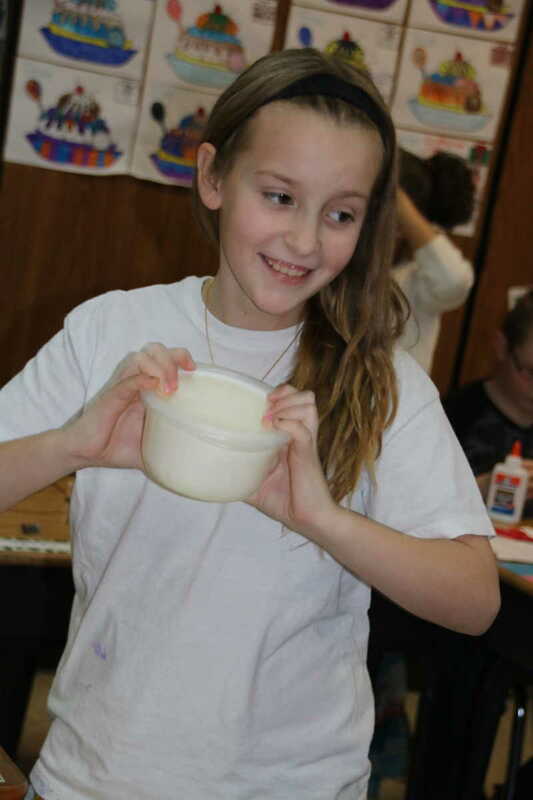 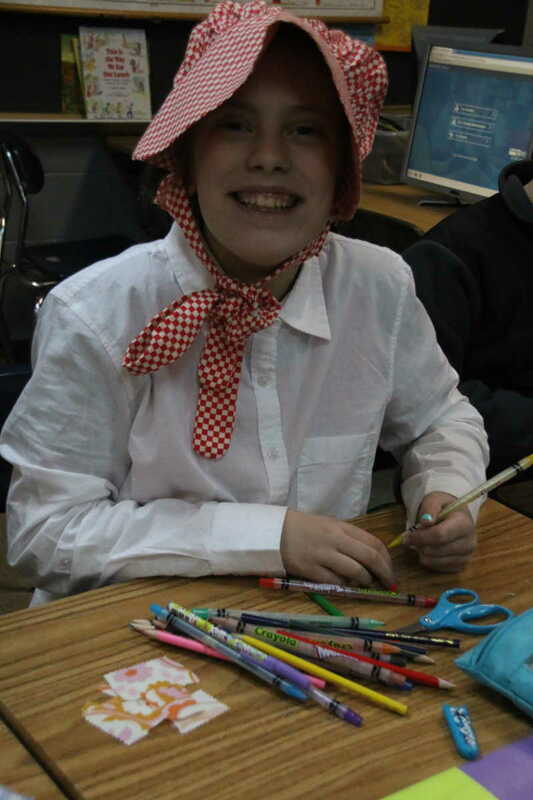 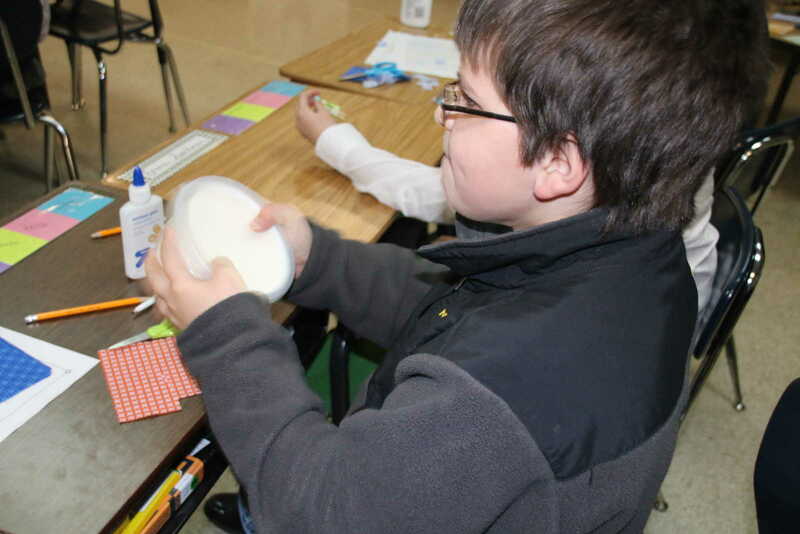 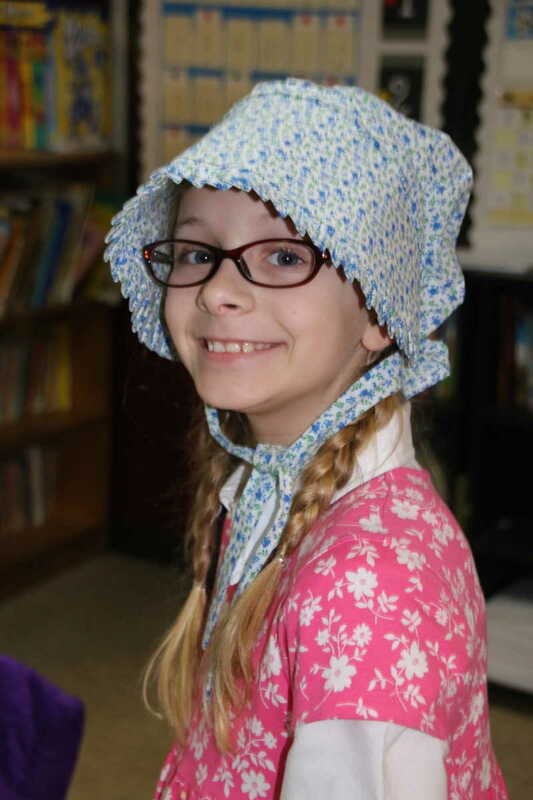 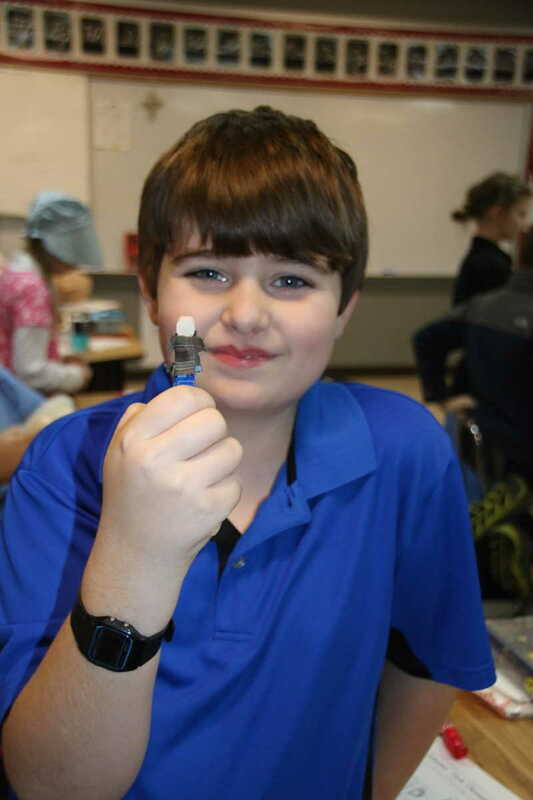 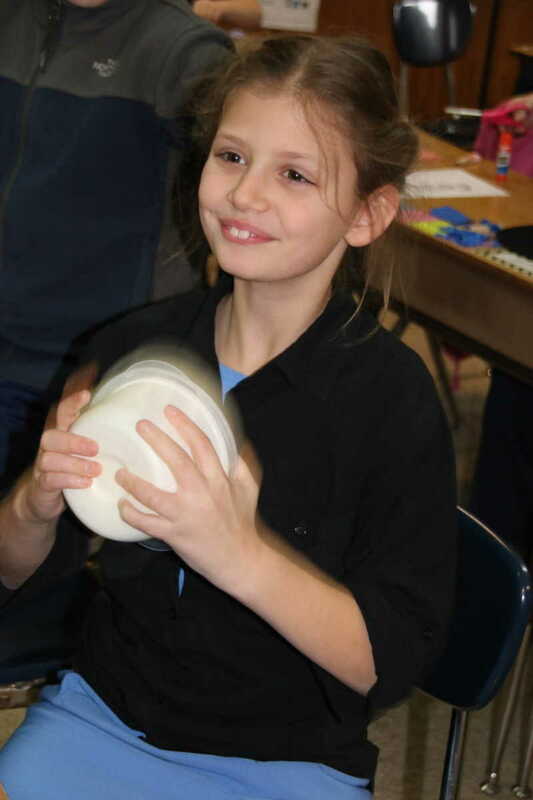 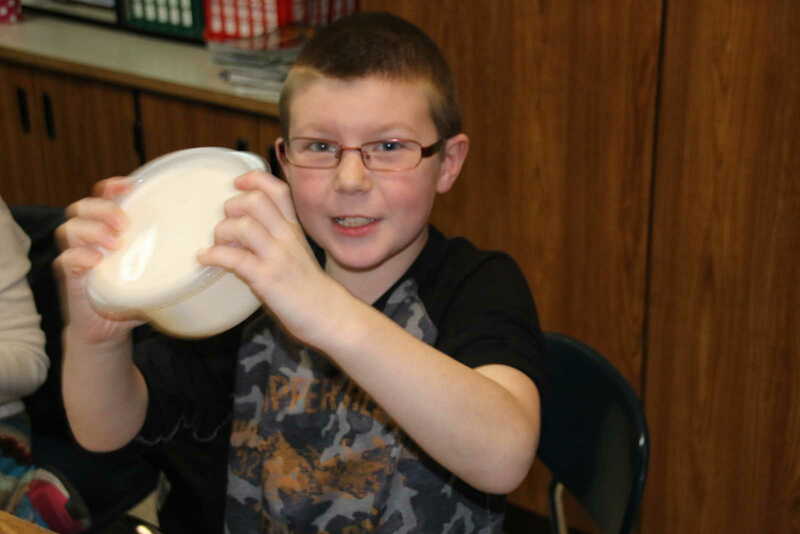 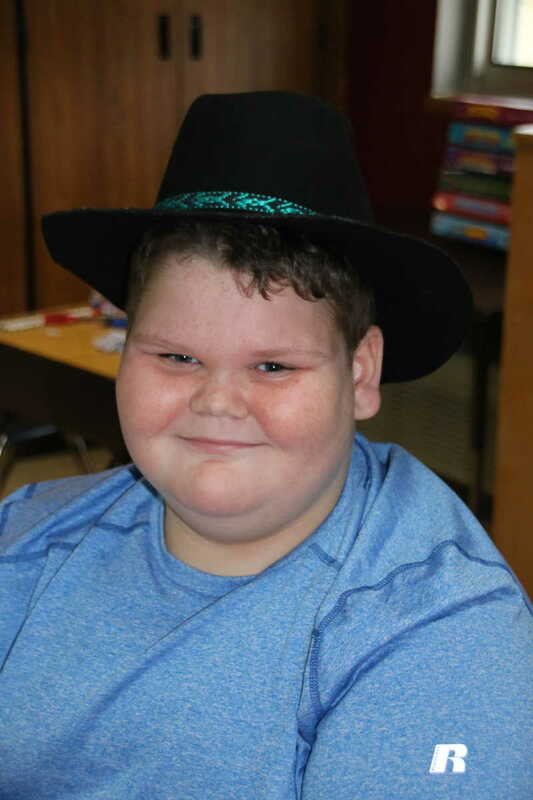 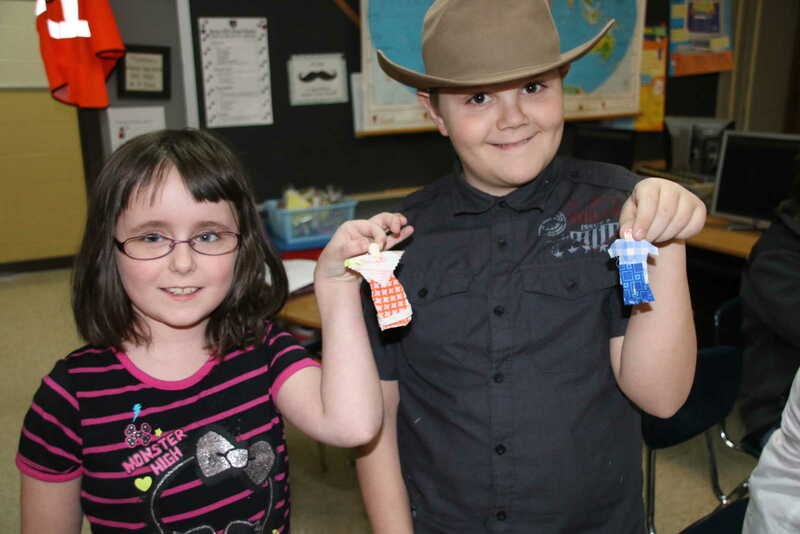 When the chapter was completed by the students, they had the option of dressing like pioneers for a day and creating some toys of their own, and even making their own butter by shaking sealed containers of heavy cream.